The first is a piece taken from the book ‘The Rise of Militant’ by Peter Taaffe, General Secretary of the Socialist Party. Published in 1995 it covers what the Socialist party (at the time named organised nuder the name The Militant Tendency) wrote and put forward at the time of Mandela’s release from prison. The second is an article from our weekly paper – The Socialist, from October 2012 – charting the processes that took place from the fall of apartheid to the events of the Marikana massacre that saw the ANC complicate in the brutal murder of 34 minerworkers in August 2012. From ‘The Rise of Militant’ Chapter Forty-One – International Challenges and an historical setback – Published 1995. IN BRITAIN 1990 will forever be associated with the poll tax and how it determined Thatcher’s fate. But on an international scale it will also go down in history as the year of decisive changes in South Africa, further convulsions in the Stalinist world, and the Gulf War. His release resulted in an outpouring of joy and relief that swept from one end of South Africa to the other and reverberated around the world. The slogans of the masses were “Dissolve parliament now!”, “Let the people govern now!” This was a popular way of expressing the demand for majority rule as a means of abolishing poverty wages, inferior schooling, segregated ghettoes and all the panoply of apartheid repression. Some discussions took place in Militant’s ranks over the appropriate slogans to put forward in the changed situation confronting South Africa. Given the attitude of South African capitalism, backed up by imperialism, there was naturally a suspicion on the part of many workers that negotiations were a device for derailing the mass movement for majority rule. There was a tendency from the outset to reject the idea of negotiations. But it is not possible, particularly after a prolonged struggle with countless sacrifices by the masses, for a serious Marxist tendency to ignore calls for negotiations. Sometimes negotiations can be seen as an “easier” and less bloody means of achieving the objects of the mass movement. In Algeria, for instance, in 1960 the FLN (Front National Liberation, the Algerian liberation movement) entered negotiations with the representative of French capitalism, de Gaulle. The latter had originally come to power on the basis “Algerie Francais”. But it became clear to de Gaulle – a consummate and brutal representative of French capitalism – that it was impossible to hold down a whole nation in chains. Determined to extricate French imperialism from the impasse he soon entered negotiations with the FLN. In this situation it would have been false to have opposed negotiations given that a million Algerian people had already been killed in the war. There was a craving for peace, both of the French people but particularly on the part of the Algerian masses. Drawing on this experience the leaders of Militant and Congress Militant put forward the slogan of “negotiations for majority rule”. Socialists do not oppose negotiations in principle. It is a question of negotiations over what, and on which terms. But, as the military theorist Clausewitz explained, you cannot get more at the negotiating table than you have won on the battlefield. De Klerk’s concessions arose from a combination of factors; the partial lull in the mass movement following the state of emergency imposed in 1986, the Namibian settlement, but above all the disorientation of the ANC and “Communist” Party leadership in exile, increasingly thrown off balance by Gorbachev’s policy changes. Gorbachev’s detente with imperialism and the emergence of pro-capitalist forces in the Soviet Union was bound to have a huge effect on an ANC leadership which had for decades in any case based themselves on the programme of “two stages” – the idea that ‘democracy’ can first of all be established within the framework of capitalism, in co-operation with the ‘democratic capitalists’. Our analysis has stood the test of time. Events between 1990 and 1994 have evolved in their broad outline in the way that was anticipated by these two journals. The South African ruling class gave concessions, the right to vote, “universal suffrage”, but because of the various blocking mechanisms agreed to by Mandela and the ANC leadership, this did not result in ‘majority rule’. The actual release of Mandela saw a quarter of a million rally in Cape Town for his first speech after 27 years of imprisonment. In Soweto, AK47s were fired in the air and thousands flocked to Mandela’s home in Orlando West. Workers in Durban “toyi-toyied” throughtout the night and thousands marched in Inanda, which had been the centre of fighting between Inkatha and the ANC in the previous months. Among black youth in Inanda Mandela’s release triggered massive euphoria, with many thinking that ‘liberation’ was close at hand. There was even a feeling in the town that the release of Mandela would allow the youth to finish off Inkatha. These hopes were to be cruely dashed with the savage counter-revolution unleashed by Inkatha vigilantes, which over a few days following the release of Mandela left 50 people dead. Among industrial workers there was a more cautious response, with great mistrust of de Klerk, the bosses and even of some of the ANC leaders. Nevertheless, Mandela’s release was celebrated worldwide with traffic around Trafalgar Square brought to a halt by a jubilant crowd. In London schools children and teachers celebrated. A million had toyi-toyied in Soweto and were emulated by others, particularly the youth, on an international scale. The victorious strike of the Marikana mineworkers has transformed the situation in South Africa and heralded an upturn in workers’ struggle. The strike has spread like wildfire to other mines and enormously boosted the confidence of workers in South Africa. It has ignited a new stage in the South African revolutionary movement. The massacre of over 40 mineworkers in “scenes reminiscent of the worst of the apartheid era massacres” (Business Day 17/08/2012) shocked to the core South African society, catapulted South Africa to the forefront of international workers’ struggles and enlisted the solidarity and support of workers worldwide. The struggle has brought back memories of the fight against apartheid for older workers and an interest in the struggle for young people. It was in 1994 that the black majority population finally secured one person, one vote and ended apartheid with the election of the first black African National Congress (ANC) government, under a negotiated settlement. The whole world held its breath on 11 February 1990 – that historic day when Nelson Mandela was released from prison after 27 years. The hopes and dreams of the majority for a new South Africa rested on his shoulders: a new South Africa freed from ferocious and pitiless oppression and exploitation by white minority rule. His release was secured after decades of bitter struggles when the apartheid regime attempted to drown the revolution in blood. The Sharpeville massacre in 1960 and the heroic Soweto uprising of the youth in 1976, when up to 100 young people were shot dead by police, (see box below) showed the determination of the masses to overthrow apartheid. The adoption of the Freedom Charter by the ANC in 1955 was an expression of workers’ demand for a revolutionary change in society. Between 1961 and 1974 the number of black workers employed in South Africa’s manufacturing industry doubled. It was the explosion of the organised working class onto the scene, carrying on the banner of the dockworkers’ strikes in 1973, that rocked the whole of South Africa and brought a qualitative change to the struggle. These mass strikes fired the imagination of workers internationally who gave solidarity to the struggles through marches, lobbies and boycotts and lead to many workers becoming politically active as they supported their brothers and sisters in South Africa. The 1980s workers’ movements lead to the birth of the Confederation of South African Trade Unions (Cosatu) in 1985. Cosatu adopted the Freedom Charter in 1987 under the banner ’Socialism means Freedom’. Its largest affiliate, the National Union of Mineworkers (NUM), led by the then militant Cyril Ramaphosa, was at the forefront of mass strikes, and Cosatu began a series of general strikes which made the country ungovernable and ushered in the end of apartheid. But 20 years after the end of apartheid what has happened to the hopes and dreams of the workers encapsulated in the Freedom Charter? The Socialist Party and the CWI have explained that following the collapse of Stalinism the white regime of FW de Klerk recognised the potential for a power-sharing agreement with the ANC. The fundamental economic interests of capitalism would not be threatened because of the ANC leadership’s shift to the right, betraying the revolutionary struggle. South Africa is now the most unequal country in the world with the wealthiest 10% of the population taking 60% of its total income while the bottom half of the population earns less than 8%. Almost one quarter of South African households experience hunger on a daily basis. An average worker lives on R18 (£1.30) a day but 44% of workers – six million workers – live on less than R10 a day. Unemployment is 25% with 50% youth unemployment. This means workers continue to live in crushing poverty. “A mineworker outlined his working and living conditions: ’We spend eight hours underground. “It’s very hot and you can’t see daylight. There is no air sometimes and you have to get air from the pipes down there.’ His shack has no electricity, no running water, and the outside toilet is shared with two other families” (the Guardian 7/9/12). Apart from the short-lived reconstruction and development programme in their early years in government, which saw limited improvements for the black working class, the ANC has pursued an aggressive neoliberal economic programme with mass privatisations of public utilities like electricity and water which has led to the increased pauperisation of the working class. This has fuelled a myriad of community struggles for housing and delivery of services for many years. For example, the ending of subsidised water supply in Kwa Zulu Natal in 2000 lead to the biggest cholera epidemic in the country’s history as workers went to the dams and rivers to drink as they couldn’t afford to be reconnected to the new more expensive supply. Mass public sector strikes against privatisation in 2007 and 2010 shook the ANC government which has been ruling in a tripartite alliance together with Cosatu and the South African Communist Party (SACP). Divisions have widened in the alliance as the ANC effectively abandoned the working class and became conscious agents of the big bosses and capitalism. Some Cosatu leaders have also been assimilated into the ranks of the elite and have abandoned the struggle. Cyril Ramaphosa was paid £61,000 as a Lonmin non-executive director last year and has come to symbolise the gap between a new black elite and the poverty-stricken majority. Following the Marikana massacre the credibility of the ANC has now been shattered. It has demonstrated that it shares with the capitalist class the same fear and loathing for the working class. “The ANC was in the black mind, the black soul, it took on an almost mystical quality. But now they’ve lost faith in it. The bond is shattered and it happened on television” (the Guardian 7/9/12). As the global economic recession deepens the bosses, backed by the ANC government, will continue their attempt to load the burden onto workers’ shoulders. So the scene is set for not only continued explosive struggles but a split in the tripartite alliance and the ANC itself. The Democratic Socialist Movement (the CWI section in South Africa) are proposing a Rustenburg general strike, to be followed by a national strike and demonstration. International pressure by workers and activists must also be maximised. The enthusiastic response to the ideas of the DSM among workers indicates the great potential for the development of a new mass workers’ party with a socialist programme, to defend and further the interests of working class people in South Africa. In 1976 South Africa’s vicious apartheid regime was shaken by a heroic uprising started by thousands of school students in the black ’township’ of Soweto near Johannesburg. The police killed at least 140 people on 16-17 June 1976, mostly in Soweto, and 600 more as they tried to put down the year-long revolt. South Africa was then still under the apartheid regime which used ’separate development’ to disenfranchise, racially segregate and keep down the country’s black majority and to ensure plentiful cheap labour. The ruling Nationalist government insisted that school lessons in certain subjects must be taken in Afrikaans – associated with white minority rule and particularly with the oppression of apartheid. Students had begun boycotting Afrikaans classes and elected an action committee that later became the Soweto Students’ Representative Council (SSRC). The campaign started with a demonstration on 16 June. The police fired tear gas into the crowd, estimated at 12,000 strong. The students replied with a volley of stones. The police then fired directly into the crowd. 13-year-old Hector Petersen was one of the first victims, being shot down in front of his sister and friends. The education system was the spark but there were many such grievances throughout apartheid South Africa, especially in the townships. Militant (the Socialist’s predecessor) described Soweto as a “powder keg waiting for a match to set it alight” with “virtual concentration camps”. The article contrasted the dreadful conditions of the townships with the privileged life of many middle class whites. 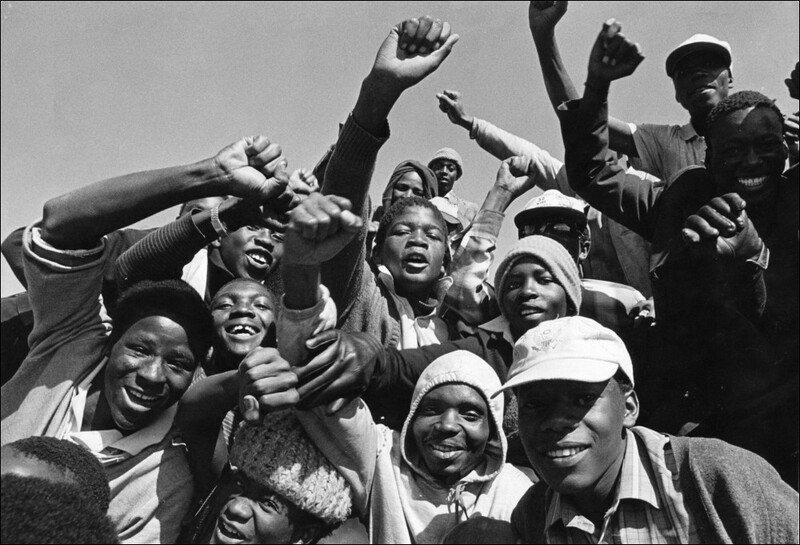 The Soweto uprising changed the political consciousness of South Africa’s black working class. Youth in Alexandria township, north of Johannesburg, had seen that they couldn’t beat the apartheid state forces by themselves and appealed to their parents at work to back them. By 22 June 1976, over 1,000 workers at the Chrysler car factory had stopped work in the first strike action consciously held in support of the students. In Soweto, the SSRC took on the responsibility of organising for a student march into Johannesburg on 4 August and, for three days, the first political general strike since 1961 took place. The government conceded on the Afrikaans issue but the revolt had gone too far and was now clearly aimed at the regime itself. The Socialist Party’s sister organisation Democratic Socialist Movement (DSM) along with he mineworkers’ unofficial National Strike Committee, and other working class groups, recent initiative to launch the Workers and Socialist Party (WASP) in order to challenge the ANC in next year’s general election is a huge step forward. A socialist alternative to a corrupt government that’s defending a brutal capitalist regime which presided over the Marikana massacre is the only solution to what New Labour stooge Peter Hain recently described as ‘deeply, deeply depressing’! The Workers and Socialist Party (WASP) – born out of the South African mineworkers’ struggles – is appealing for support for its election campaign in the South African general election which will be held in April or May next year. Meeting: The life and struggles of Nelson Mandela – Where now for South Africa?